With this kit, you can use it to communicate with your arduino board. We will provide the connection diagram and the sample code for you to use with this kit, so the process would become very easier for you to get familiar with this kit. So you can start your RFID project as soon as you get this kit, such as use the RFID to open the door etc...and we hope you can also be very creative to use this kit for many awesome ideas! Unlike other sellers, we are professional and provide all the tools necessary, other seller might just sell you the hardware, then leave you alone, so you have to spend a lot of time to figure out how to get it to work. you can also check here for more arduino kits for different level to suit your needs: Arduino Kits. This is with very good quality, if customer is not satisfied, we guarantee 100% money back. 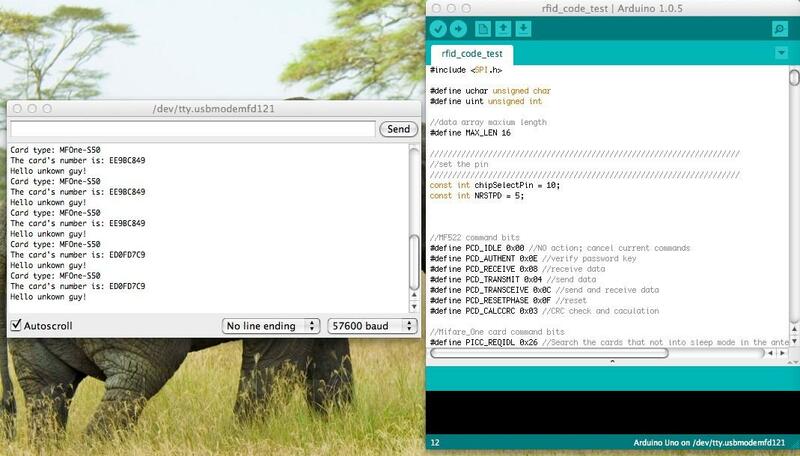 For more data, you can check the official website below: Arduino IDE. This picture shows how they connect together with arduino and computer, also how they communicate. We will send a more details connection diagram to you after you purchase it, so you don't need to worry about the connection at all. 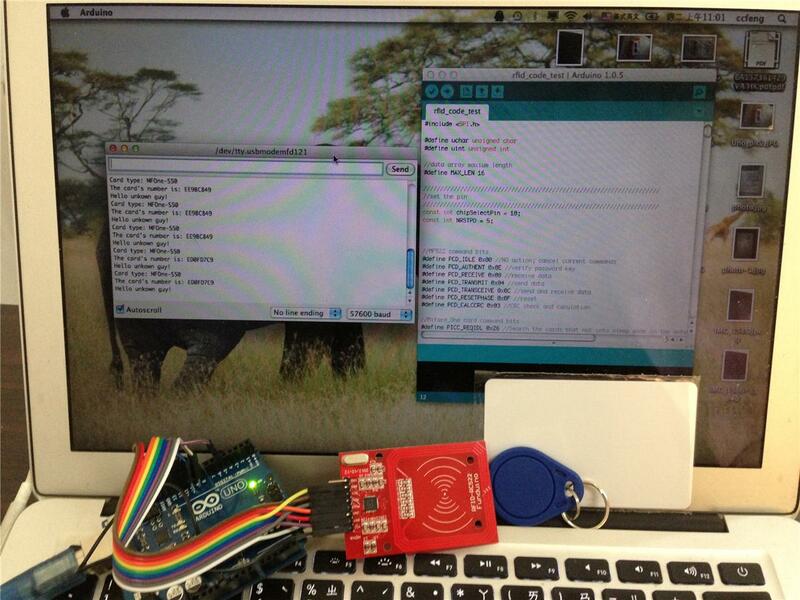 This picture shows the sample code, and also how the RFID reader detects the RFID tag and then interact with PC and arduino.